PEORIA - Bond has been set at $2 million for the homeless Peoria man who was charged for the Hulbert House apartment murder on Monday. The suspect, 35-year-old Anthony Bennett, appeared in bonding court on Wednesday. He was arrested and charged with first-degree murder on Tuesday for the death of 40-year-old Ramon White. In court Wednesday, prosecutors said White was found face down on the floor, naked, after the apartment complex maintenance crew found him when his sister attempted to check in on him on Monday. Police were called to the apartment complex around 2:45 p.m. White was pronounced dead at the scene. It was revealed Wednesday that Bennett and White were in a relationship. They reportedly met at CityLink in recent weeks. Peoria County Coroner Jamie Harwood had said White's main cause of death was strangulation though he also suffered blunt force and penetrating injuries. On Wednesday, Assistant State's Attorney Dave Kenny said White was stabbed twice in the neck, most likely after he lost consciousness. Kenny also said that at one point, Bennett allegedly thrust a back scratcher down White's throat. White was also sexually assaulted. Prosecutors also said the two had been drinking. 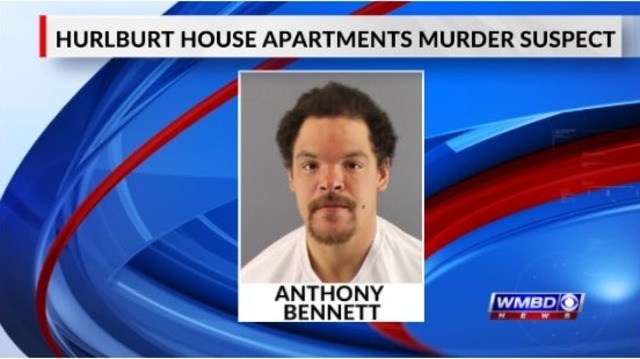 If convicted, Bennett could face 20-60 years in prison. Bennett is being held at Peoria County Jail. His next court date is scheduled for March 7.